The Columbus Blue Jackets promote responsible drinking and positive fan behavior at Nationwide Arena. The Blue Jackets Fan Code of Conduct and the details of the Blue Jackets alcohol management plan that appear below ensure that fans have a safe and fun experience. In addition to all normal building search procedures and prohibited items, all guests coming to Columbus Blue Jackets games will be asked to comply with NHL security requirements, including asking all guests to remove their hat, empty all metal from pockets and present to certified security, and enter the arena through metal detectors. If anyone refuses these search procedures, they may be denied entry into the venue. All fans are also required to follow the NHL Fan Code of Conduct. Failure to comply with the NHL Fan Code of Conduct can be denied access and/or removed from the venue. 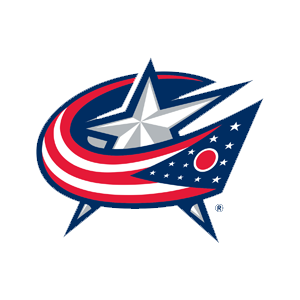 The Columbus Blue Jackets offer fans the Bud Light Good Sport Designated Driver program at all Blue Jackets games at Nationwide Arena. Anheuser-Busch and the Blue Jackets collaborate to institute the Good Sport Program, a comprehensive action plan that promotes a positive atmosphere at the arena by encouraging adult fans to drink responsibly and use a designated driver. Anheuser-Busch promotes the Good Sport program through the use of arena signage, PSAs and an in-stadium designated driver sign-up booth.